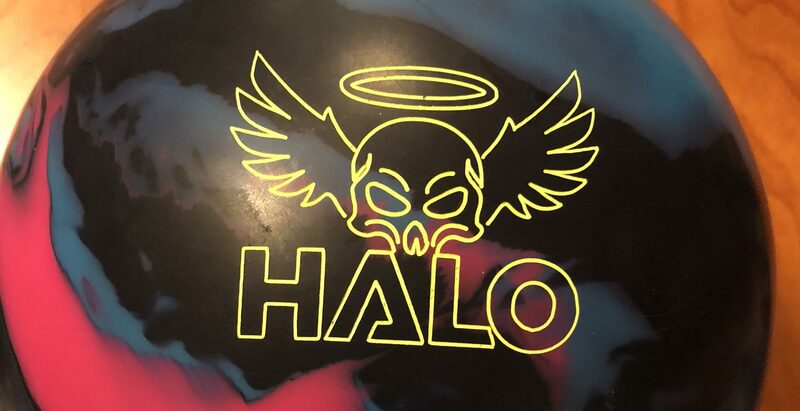 Halo is as expected, a really strong piece, cleaner than you would expect for a really aggressive cover, smooth in the midlane and that asym break towards the pocket. Really the step up to the Idol we “figured” it would be. 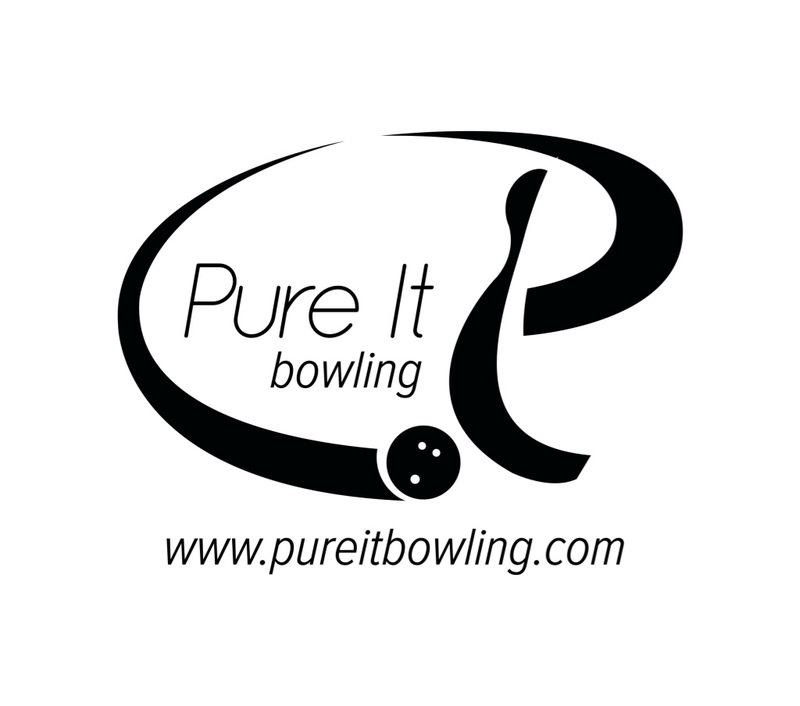 Buy the Roto Grip Halo at PerfactAimBowling.com. 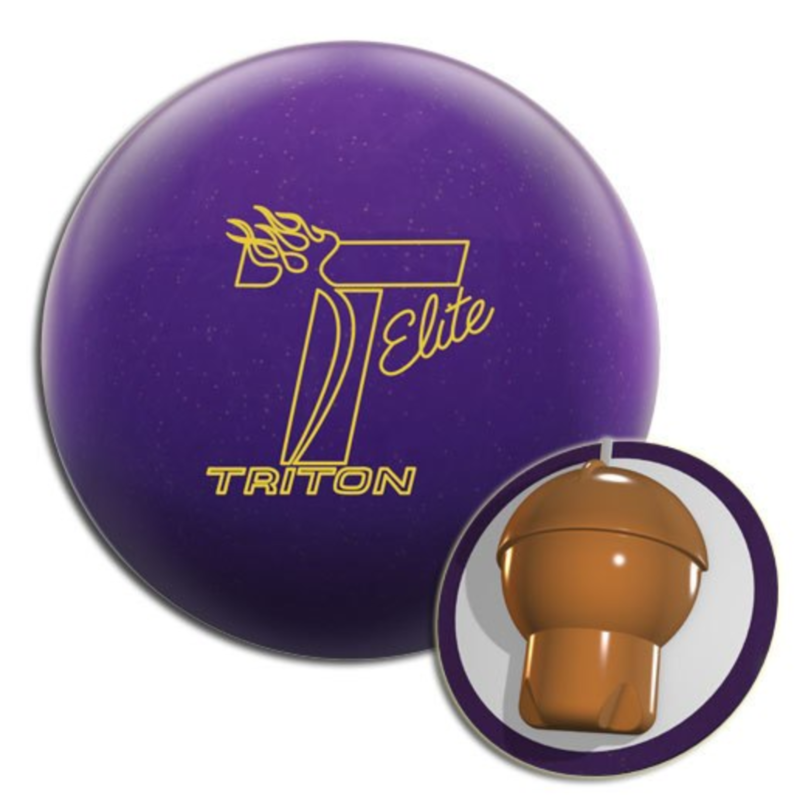 The Roto Grip Halo is strong, aggressive piece with top line pricing. I didn’t kill it on value because I feel this ball may still be usable on THS for those with less hand after seeing the length it can generate along with the backend move. The Halo uses the new Centrum™ Core (Asymmetrical) core inside the MicroTrax-S18­™ coverstock. Ok, everyone who’s seen the Idol could kind of see this coming. 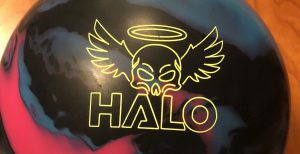 The Halo uses the same strong cover with an asym core. Seeing the shape of the core, we expected we would still get the smooth skid hook transition but a stronger hook to roll transition. Lo and behold we got exactly what we thought. I said before we threw the Halo, “this should be what the Sure Lock should’ve been to the Lock”. After we threw it, it was exactly what we thought. For Roto Grip fans, it’s similar to the Hyper Cell or the original No Rules but a little smoother. The ball is really strong and feels like a lumbering beast. For me I didn’t have to get really deep on house because it bleeds energy that doesn’t make it super huge side to side. Don’t get me wrong, it’s got plenty of backend and you can see the decidedly asymmetric transition. But it’s like a snow tire in that if you push it too hard to the outside of the corner, it will still give out on you. So miss out and it’s gonna be lazy. Miss in and it’s too strong to hold. For me this is a lot of ball on typical medium house and not enough forgiveness on either side to make me feel comfortable pulling it out on this type of volume. The Code X showed to be similar board coverage but not as strong. It was cleaner as you would expect from R2S and more snappy downlane. Comparing to the Idol, you can see the more aggressive transition from hook to roll with the Halo compared to the smoother transition from the Idol. They are similar in board coverage on house, just have different shapes transitioning to the last phase. Sean was next and as you would expect, with this much hand, the Halo is not ideal for this medium house condition for him. You still see biting smooth reaction of the cover but it bites a bit earlier for Sean than for me. It’s a heavy, medium-early roll, with fairly aggressive downlane bite. The Halo proves a bit over/under, seeing similar to what I saw to some extent. Sean has to try a bit too hard with this piece. Pushing it through the mids and missing out causes it to die out there. Missing in has no chance to hold. He had an easier time getting length from the Idol with a smoother and more continuous motion through the pins. Bryan was next. The Halo looked quite good for him. He didn’t feel like he had to overthrow it to get it through the heads and he was really able to take advantage of the strong transition for a really good continuous motion through the pins. 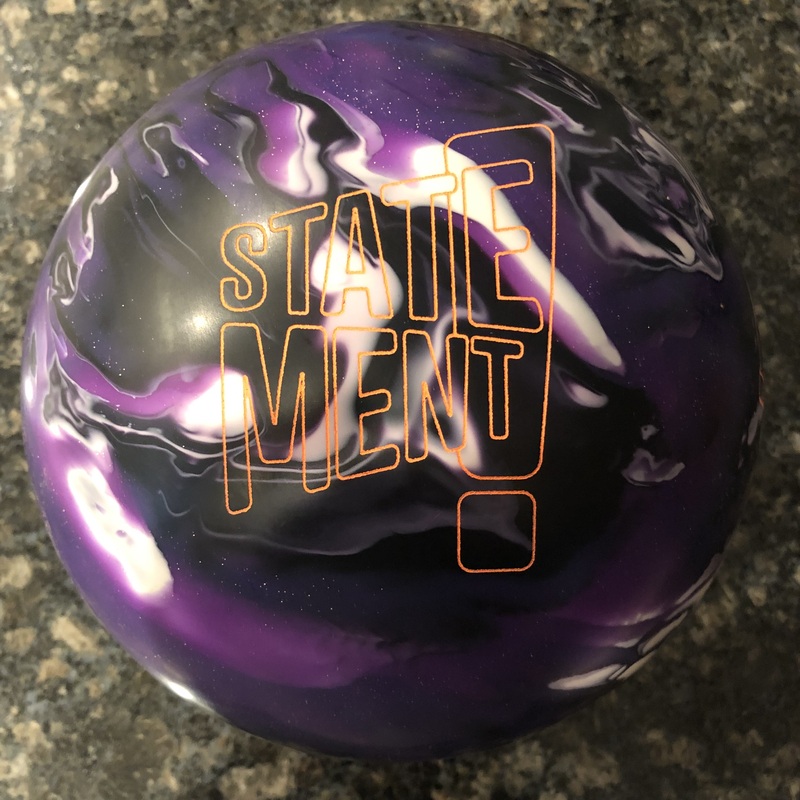 The Storm Lock is one of his favorite balls because he sees this type of motion. The ball generates motion that really helps him and the Halo does the same. However, the Halo is clearly a step up. He has also has a Sure Lock but the Halo looks more like a “big Lock” than the Sure Lock, not in terms of strength but in terms of shape. He also likened it to the Hyper Cell in that it’s that big motor that got enough length but turned over definitively and heavy through the pins. Compared to his Idol, the smoothness is almost night and day. The Idol is just smoother all the way through. That forces him to be tighter to the pocket and takes away forgiveness that he has with the Halo. Finally Dave tests. Dave to me will be the most representative of what the Halo will do for many house bowlers. He’s a stroker with a kind of end over end roll and medium rotation that is close to many bowlers. This is another style that benefits from the heavy roll of the Halo. He gets good enough length and the perfect heavy transition. This helps him take advantage of that heavy core in terms of pin carry. He plays in the track so he has some room left and right. A little right and he might leave a flat corner or 2 pin if it dies. A little miss in and he could see a 4 pin or even trip it. We tested on the very tough Red Square flat 40ft pattern. This is all about a premium on shot making and preserving the pattern as long as possible. As such, Halo would not be a ball Sean or I would use on this pattern under normal circumstances. I had to be in to the 5th arrow and get it into that fall back type motion so it can layoff. If it has room at all to hook, it overhooks. And as a lefty, where would I go from there?? Nevertheless, it’s a smooth strong ball that I can definitely take advantage of on longer sport patterns. Sean uses a little trickery to reduce his axis rotation substantially. Here you see how heavy and hard it goes through the pins. For Bryan, it’s a bit of a different story. Even on this pattern, he uses surface to slow the ball down and get ball reaction. He was surprised that even a slight miss out recovered when we typically don’t have forgiveness on this flat pattern. Dave again had a good reaction. He can play in the same track area because of the pattern length and you can see the heavy transition and strong roll. Again, the watch out is flat patterns transition quickly so he would have to keep chasing and if he’s with high rev bowlers, the shot could get unplayable in time. The Roto Grip Halo is exactly what we figured and expected. Huge ball. Smooth midlane, stronger asym downlane. 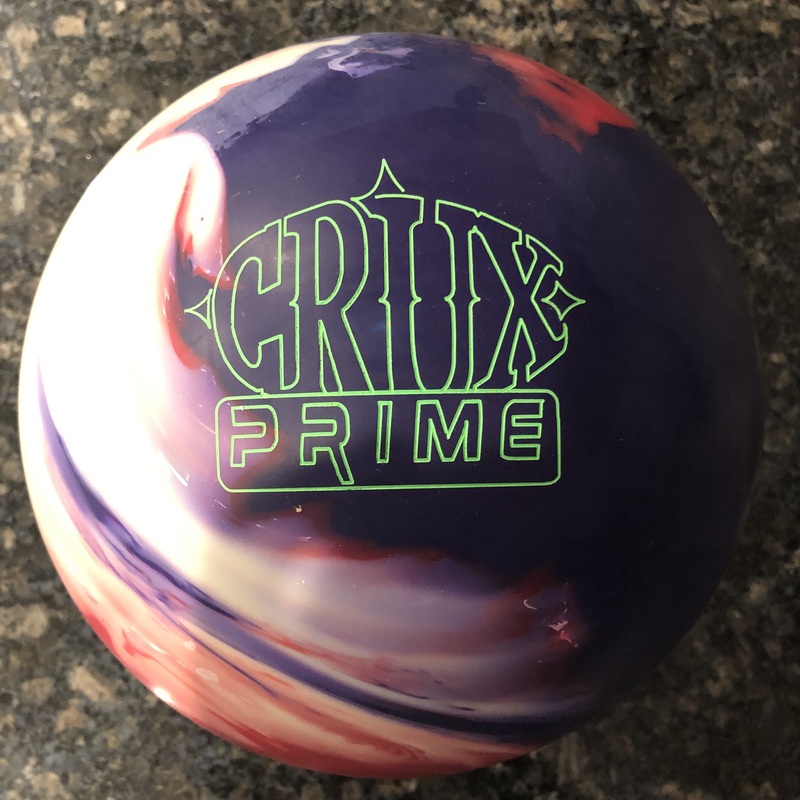 Despite this crazy strength, I believe many house bowlers will find this ball useful. For those with more complex bags, this is obviously at the top end. Would I use this on house? Not likely. Would I use it on higher volume, longer sport patterns? Absolutely. Would Bryan and Dave use this on house? Yes they would. It’s characteristics will make it more usable for people with their style. In the end, having a heavy oil ball that rolls heavy with a visibly strong transition is one that will make it to a lot of bags. The Halo fills those shoes nicely.